Want to turn a ho-hum backyard into something you’re proud to entertain in or be able to enjoy the outdoors without having to brave the elements? A patio awning may be just what you’re looking for and can be built to blend seamlessly into the existing home. Here are just a few of the added benefits of installing a patio awning. With a patio awning, you can extend the life of your patio furniture even more. Protected from the sun, patio furniture materials will keep their color longer and won’t break down as fast. In cooler weather, the awning will protect the furniture from rain, ice, hail and snow. 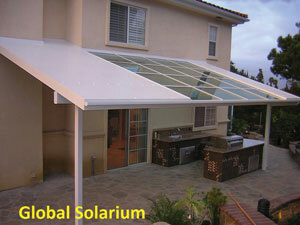 Global Solariums are built to last and won’t blow away or rip like patio furniture covers often do. Many times, the front of the house gets all the attention. Hanging plants along the front of the home, a decorative front porch, window treatments and areas of interest. The backyard gets a sliding door and maybe a concrete patio. With a patio awning, the entire backyard gets a pick me up. These awnings come in a variety of framing materials and support styles, including Edwardian, Georgian and Victorian looks. The glass can be cut to fit any style so the patio awning will look like it’s always been a part of the home. No matter if you live in a sunny, rainy or even snowy climate, a patio awning has you covered. Literally! These awnings can be built to any size, giving you additional living space no matter the weather. As shade, or as a cover when the rain starts falling, a patio awning allows you to enjoy your backyard almost any time of year. 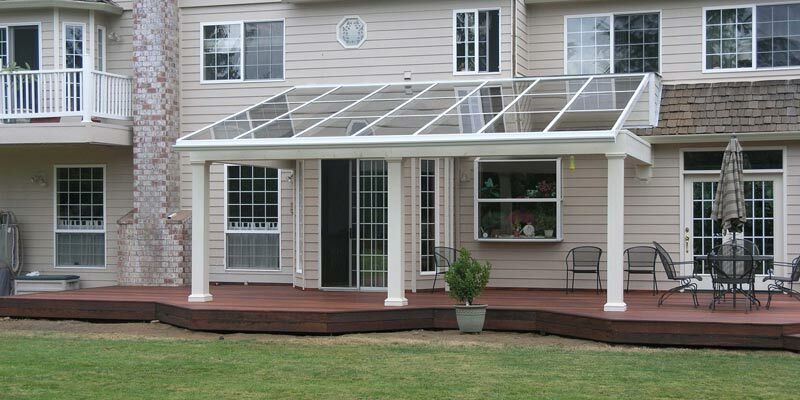 With durable framing and tempered or laminated glass for strength and safety, a patio cover is perfect for all seasons. The structure also has energy-saving qualities as well, keeping direct sun from warming the home while still allowing plenty of daylight in. These are just a few of the added benefits a patio awning can bring to your home. No more having to wait until the weather is just right to enjoy the backyard – with a Global Solarium Patio Awning, you can now enjoy it year round.